Next message: [Oeva-list] SHOULD we let Tesla off the hook? over its gas-powered counterparts at a motorsports event." > Peak's elusive ten-minute barrier. > outright winner Rhys Millen who set 9:46.164 in a 700 hp Hyundai Genesis. 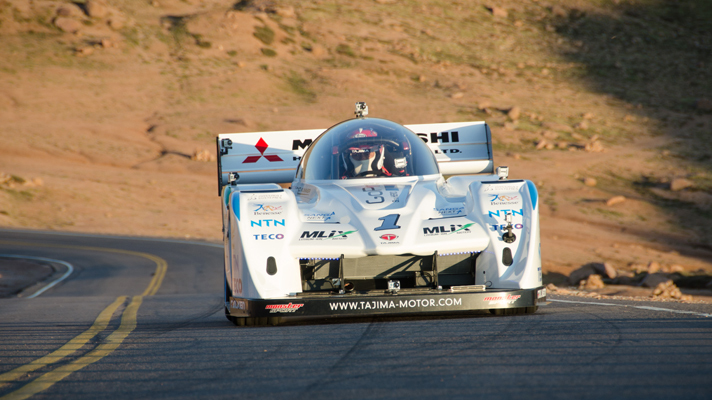 > of 8:13.878 in a 900 hp 900 kg Peugeot 208 T16 Pikes Peak Special. > high quality and high density battery, I can beat that record for sure." > # 1st. : Nobuhiro Tajima 9:46.530 OVERALL: 5th! > # 2nd. : Hiroshi Masuoka 10:21.866 OVERALL: 13th! > # 3rd. : Greg Tracy 10:23.649 OVERALL: 14th! > # 4th. : Rod Millen 10:24.301 OVERALL: 16th! > Don't care about Global Warming? Don't hug trees?